Over the last three decades, Harold 'Big Ed' Matthews and his Blak Beatniks collective have released celebrated singles on a wide variety of notable record labels, including Large Music, Clubhouse Records, PAN, Vibe Music and his own Melodious Recordings imprint. 'The Right Place' sees the long-serving songwriter, vocalist and producer hook up with producer Sean McCabe, who first worked with Big Ed on the 2007 BBN single, 'Free To Be Free'. The Transatlantic duo have collaborated on numerous occasions since, with Big Ed appearing a number of times on McCabe's Z Records-released 2014 debut album 'It's Time'. 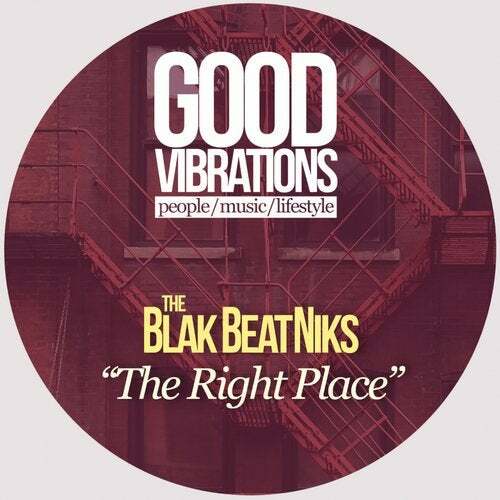 In its' 'Main Vocal Mix' form, 'The Right Place' is a wonderfully breezy and rolling chunk of soulful house. The lead singer Tori Blak, provides a sumptuous rendition of Big Ed's positive, life-affirming lyrics over a backing track rich in addictive electric piano riffs and chunky, New Jersey-influenced drums. McCabe emphasizes his own warm, analogue-sounding synth bassline on the accompanying Deepa Vocal, adding dreamy pads and a shuffling drum track that offers subtle nods towards Latin rhythms whilst sustaining the four-to-the-floor bump of classic house. There's also a seductive, slowly building Deepa Reprise version and a chunky, spacey and groovy revision from Mathews and McCabe under their alternative aliases. One of the highlights of a strong package, the Aitch Em & Mackabee Dub sounds like it was tailor made for early morning dancefloors. The expansive package also includes alternate instrumental versions of each of the mixes. It all adds up to a particularly memorable outing from one of Chicago house's most distinctive musical voices.